Looking for a easy to install and simple latch for your personal access gates? Our two way catches are a good lightweight latch for your smaller gates. Our two way latches are made from zinc plated steel. 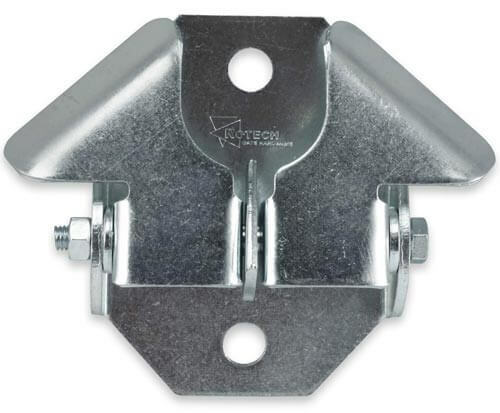 These lightweight latches allow you to swing a gate closed from either side. When the gate hits the bevelled lug, it pushes the lug up allowing the gate to slide in. Once the gate is in, the lug will drop back down, holding the gate in place. We don't recommended them for stockyards, however they are excellent if you need a secure latch for personal access and residential gates.